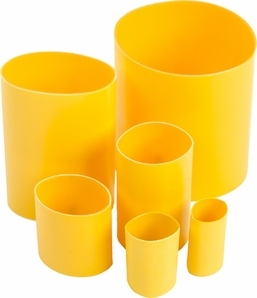 After using 3M� DBI-SALA� Quick Wrap Tape and D-rings to create an attachment point, Heat Shrink is used to create an even stronger connection that is more resistant to abrasives and harsh environments. Apply heat using a heat gun to make a heat shrink link shrink around quick wrap tape. Protect your investment! Heat Shrink helps protect Quick Wrap tape against harsh work environments.